Over the years our community have ran into a number of people that we trust and refer others onto. For those who are searching for some help and guidance in their lives via the internet, feel free to contact these people that we recommend. This page will continue to grow as we update and include additional people. Henda is a Reconnective healer and intuitive, with a focus on energetic alchemy. She is available for distant healing using the Reconnection healing method and is contactable through this site online. Lorna provides Life Coaching, is a Shamanic Practitioner and Advanced Hypnotherapist trained in the past life regression method QHHT. Lorna’s site is, http://www.lornawilsonqhhthealing.co.uk/. Maryann Rada is an energy healer and channel for the Pleiadians. She provides Pleiadian based psychic readings through her site here, https://ninespath.com/. Melanie is an Empath and Spiritual Healer who does provide psychic based healing over the internet. You can find more information about her including her contact details here. 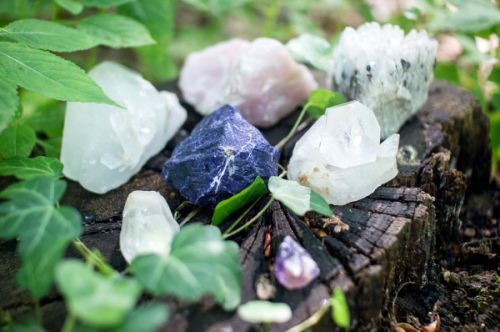 Laron is a Past Life Therapist (QHHT), Energy Healer and Reiki Master, as well as being a guide and teacher to those seeking a truer path into their consciousness and spirituality; he provides Tarot Readings, Energy Clearing and Dream Interpretations as well, through his site here: https://laron.nz. This page was last updated on the 12th of August, 2018.